Item # 319294 Stash Points: 3,995 (?) This is the number of points you get in The Zumiez Stash for purchasing this item. Stash points are redeemable for exclusive rewards only available to Zumiez Stash members. To redeem your points check out the rewards catalog on thestash.zumiez.com. 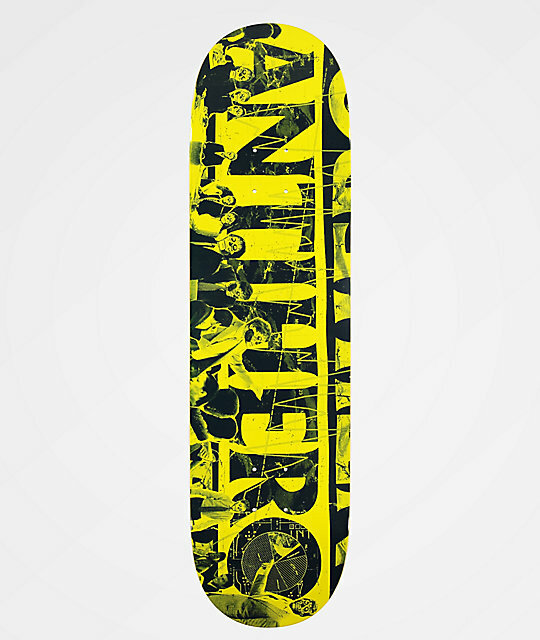 Draped in the colors of yellow and black, Anti-Hero's Third Quarter 8.5" Skateboard Deck offers plenty of flair for all your tricks. Manufactured with a traditional 7-ply construction, this durable board comes finished with a large graphic of grim scenes from a corporate boardroom in which the suited individual's faces have been replaced with gruesome skulls. 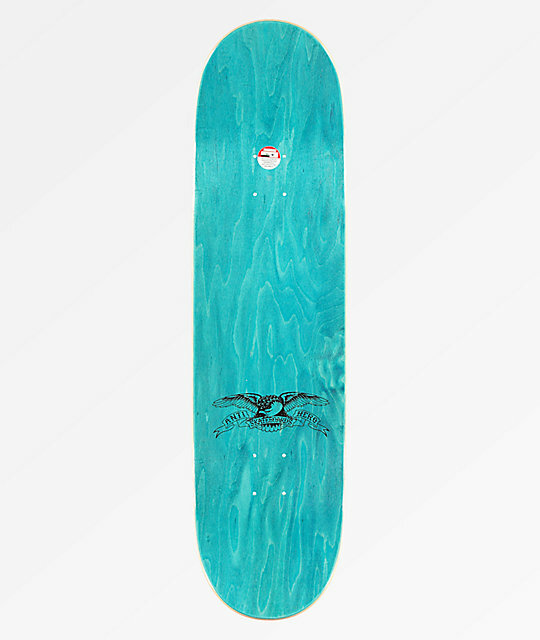 Third Quarter 8.5" Skateboard Deck from Anti-Hero.